Limerick’s medieval palaces and places of worship give the city an amazing feel, while the pubs slither with vivacious local people and foreigners who are all yearning only one more round of Guinness Beer. Animated screens by fictitious characters, old objects, costumes taking the clothes of yesteryear, mini quizzes, games for children and adults-a visit to the King John’s Castle is like taking a good glimpse into the past and allows guests to understand the history of this famous site in Limerick, Ireland. During Culture Night at the Hunt’s Museum, there are several extra activities including a 20 minute mini-opera. The permanent exhibit is made more interesting by large collection of religious (art) objects. The Hunt Museum presents the collection of a couple of antiques from the twentieth century. The works exhibited are of extraordinary diversity and allow for a fast course of European art history. The climate in this Irish city is exceptionally variable and unusual. You can explore it ideally from June through August, which is the best time to visit for people who like to go around in warm weather. The month of May has the most daylight, in spite of a spike in precipitation in the month. It rains all the more in winter (November until January), however the sun will sparkle a greater part during winter days. You don't head out to Limerick for the climate, at whatever point you can just simply go and visit. Be ready for a little rain, and make the most of your time while you’re there. Situated along the southern part of Ireland, its atmosphere is mostly ruled by the movement of the currents in the North Atlantic. The Lough Gur Visitor Centre is a wonderful and inspiring place in Limerick. It is equipped with a friendly and open-minded staff. The audio guide is great and tourists even go back twice to see this interesting museum. The visitor center is a very informative and lovely exhibition about the settlement of Lough Gur and the many legends that abound in the place. There is an exhibition in the center itself, which is managed by the employees, as well as an exhibit path in the grounds, the one that goes on with the aid of an audio guide (in about 5 different languages). In addition, there are off-site more interesting points that will already draw attention during the excursion and where it is really also worth a visit. In the Visitor Centre Lough Gur you will be immediately greeted by their amiable staff from the beginning and answer all your questions in a professional and a great deal of knowledge. The visitor center offers an interactive show and movies that are informative and amazing things about the archaeological sites in Lough Gur. The landscape in itself is already beautiful and the sights are a delight for the archaeology fans. The entrance fee of € 5 for adults and € 3 for children is more than justified for all that is on offer here. By the early morning when the light is beautiful, it is the best time to enjoy the magic lake. A quiet and beautiful place, whose waters reflect a landscape that leads everyone through centuries of legends, traditions and history, The visitor center is magnificent, adapts to different levels of interest, age, or time, available. When in Limerick, a visit is highly recommended. King John's Castle in Limerick has an "Old Town” that is well preserved, well -tended, and turns out to be also very scenic. But what most guests find striking is the trail that is both high-tech and interactive, and puts the visitor in a position to enter into symbiosis with the world and culture of the various inhabitants of this citadel from the time of the Celts and forward. If you have children you need to have the patience to translate and explain, but most of the things here are intuitive. You will discover how they ate, how they dressed, how they worked on iron, stone, wood, how they fought and how they endured a siege. It is truly very interesting to see this medieval castle with very nice exterior and interior and completely combined with an interactive museum that is ideal for children. There are clear explanations and preserved photographs. It has a very interesting archaeological zone and a fantastic courtyard that shows the reconstruction of the huts of various artisans. The castle is located in a great art scene whose surrounding scenery cannot help but enchant every guest. King John's Castle offers visitors a review of over 800 years of Irish history. It is a structure that is well worth a visit especially for the stories that surround the halo of war through a touch screen that will give you the exact size or the idea of that era. Before entering the castle there are rooms with pictures, videos, etc. that are definitely interesting (attention: in English only). When finally you reach inside the structure you will see a few ruins, several parts rebuilt, and reconstructed interiors. The St. Mary’s Cathedral is huge, made of all stone and very beautiful. Next door there is a small cemetery with gravestones and in each one there is a written dedication of their loved ones. The interior of this 12th century cathedral gives goose bumps because it is very large, cold and imposing. The setting automatically gives a strange or eerie feeling but it is worth to visit it. There is no entrance fee, but anyone can leave a donation but it is not mandatory. This fabulous medieval cathedral is very old and lined with pillars and columns in imposing size. Inside you will find ancient tombs with charming stone arches and twisted stone columns. The interior also has a section with impressive stained glass windows. The feeling is to go back in time, reinforced by the presence of the cemetery alongside the church. Come to the service at 9 am and enjoy the Messiah and cultural program at the same time. The Cathedral is perhaps the only thing that remained in this town for more than a thousand years. It is one of the three most beautiful buildings in the city with a fortress-like ambience that dominates the waterfront. If you still have time visit the small cemetery which is just 2-minute walk away from the ancient cathedral in Limerick City. St. John's Cathedral is one of Limerick’s finest religious structures that is situated right in the middle of the city. It was established since 1861 and is an existing proof on how skilled the early Irish architects and engineers were in building noteworthy structures that has withstood the test of time. The house of prayer has the tallest tower in Ireland and is justified even despite a visit for that alone. When you enter the church building turn toward the woodwork on the first roof, it’s stunning and will amuse you from its intricate details up to the main altar. It is a beautiful place to meet. As the city is small, there are so many attractions. It is worth an hour to stroll around and learn more about its history and don’t forget to take some pictures. The Hunt Museum is a cultural place to visit if you are in Limerick City. The collection ranges from prehistoric times to the recent past. The museum is very pretty and inside you can admire artifacts from various eras, plus a good dose of Italian artifacts. The museum staff is very nice and you can make guided tours even without prior reservations. The most interesting part is the exhibition of photographs by Gerry Andrews that are all nice, interesting, and showing glimpses of Ireland a few years ago (70’s) that is all worth a look. This family owned museum that is especially designed for those who love historical museums. The Hunt is a museum for art lovers. It contains a collection of paintings, glassware, coins and jewelry that the entire family and founders of the museum have collected their whole lives. The entire museum is impregnated with the spirit and the theme of their private collection. In Limerick, this museum is included in the list of those attractions that you should definitely visit. But if you do not like art and do not feel inspired by antiques, take time to understand the exhibits in the. It is an interesting museum with guides who love their job. Do not hesitate to ask for one. Not only is it free, but in addition you will learn lots of interesting anecdotes about the Hunt family and their tireless dedication to the museum. The Hunt Museum is a small museum located in the city of Limerick, Ireland. It is a museum founded from the donation of the Hunt couple who are passionate about antiques and major collectors. This is not really a themed museum and the objects presented are from all significant periods in Ireland; from the Stone Age to the present day simple prehistoric stone Picasso sketches. Some windows are superb (you can see an unfinished drawing of Renoir while looking for another way or a pictorial example of medieval crucifix and former Irish objects) while others are less. The place is nice and cozy and it is the former home of Limerick customs. The price is not too high, €12 for two adults and one child. The Frank McCourt Museum is a monumental attraction in Limerick that is dedicated to one of the greatest Irish writer of the world (Pulitzer Price-winning). The visit exceeds every expectation and takes a plunge into the author's life, the acclaimed writer and professor Frank McCourt (1930-2009). It is staffed by 6 volunteers including a female artist who is responsible for operating this house which also served as Frank’s school building. In the 3rd floor of the building they have furnished an apartment that corresponds to childhood home. The visit is very poignant and memorable. It’s like being lead to a special dimension that you’ll only get by reading the book / autobiography which took the literary world by storm. The book can be bought here and it is highly recommended you secure a copy from here to make your trip truly unforgettable. Noteworthy also are the 6 volunteers with great narrative capacity to guide you around the house/ museum. The Treaty Stone is a monument to the peace treaty of Limerick. It is worth visiting just after touring the castle which is just across the Shannon River (the main river of the city), the King John's Castle, which also tells part of the story. The Treaty Stone is worth seeing even once while on the city. It is positioned in front of an indentation which provides for a short stop. From there you can see not only the contract stone, but it also serves as a great photo stop right on the river Shannon. Opposite, on the other side of the river is the city center. The point is simply a must and should take two minutes to score a gorgeous photo and a good remembrance of a visit to Limerick City. The Limerick Greyhound Stadium is visually appealing from the outside and in the entrance has a larger inner area that is equipped with a bar, a snack stall, and a variety of betting shops. In the covered outdoor area there is a restaurant and standing room for the audience. For anyone who visits Ireland for the first time and who hails from a country where dog races are not so popular, this site is an interesting experience. One of the common or normal things to do while inside its premises is to drink beer while watching and betting on a dog-racing competition. You will learn a lot about culture and the Irish spirit here. It provides lots of fun for all ages. The stadium provides a typical amusement option until evening for tourists and locals. It is a superb experience that is not to be missed. On the grand stage, one can follow greyhound racing outdoors or indoors (with an opportunity to restore and refresh). You are free to bet or not on these beautiful dogs who are equipped with an amazing speed when they come out of the starting blocks. You will get carried away by the race and the atmosphere reaching its peak when the dogs cross the line. Don’t miss this one of a kind attraction and experience which can only be found in the captivating city of Limerick. 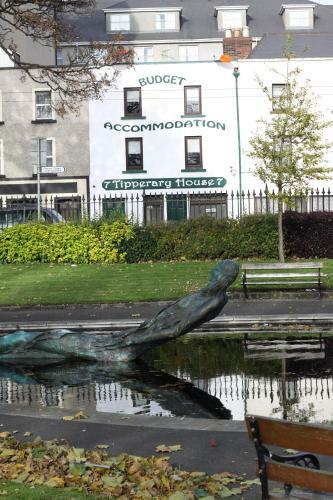 The University of Limerick offers in the summer as well as many universities in the UK and Ireland, the opportunity to stay at reasonable prices in the winter residences occupied by students. The rooms are comfortable with a single bed and a half and a private bathroom with shower. The rooms are grouped in flats of six rooms and each one is equipped with a nice kitchen and a living room with sofa, two armchairs and TV. The University is surrounded by nature and many trails along the river offer opportunities for nice walks so as to arrive in the city center on foot (half hour walk). Inside the university there are numerous bars, cafes and restaurants, as well as two pubs, a supermarket and a library. The Sports Center is well equipped, there are gyms, cycling paths and walking areas which you can access by paying a ticket of 7 euro for the whole day. It is not hard to get around because the university staff is kind, helpful, and welcoming. When traveling with the family and you’re looking for a place to stretch your options between the visit to a museum and a church then the People’s Park is the best option since is surrounded by the old churches, within easy walking distance from the city and there is a nice lawn and a play area for children. For the peace of mothers, the play area is fenced and closed by a gate. Aside from pleasant promenade areas, observe the wood carvings on the old trees felled by the recent storm. The stumps became a form of art and another expression of one’s creativity instead of being just strewn around without any purpose, the art gave it new life again. The City of Limerick is encompassed with an amazing bit of history and a peek into Ireland’s glorious structures and sites. The St. Mary's Cathedral and the Cemetery are nearby and offers an impressive choral and a peek into the rich cultural side of Limerick. It has a charming walk around the row of themed museums with an eminent showcase of data, the flourishing gardens and a busy riverside. Give a couple of minute walk and you can wander down the courtyard and interiors of the King John's Castle & the opportunity for some extraordinary pictures on every interesting corner of the city. Limerick is a lovely city where you can create incredible memories and still yearn to go back again and visit.